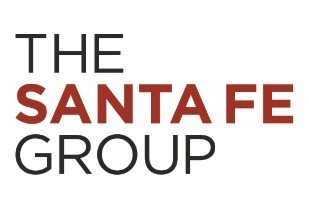 SANTA FE, N.M.--(BUSINESS WIRE)--Shared Assessments Program, the trusted consortium for third party risk management, is pleased to announce the appointments of Glen Sgambati, a Customer and Industry Relations Executive at Early Warning Services, as the 2019 Steering Committee Chairperson, and Emily Irving, Vice President of Third Party Risk at BlackRock, as the 2019 Vice Chair of the Shared Assessments Steering Committee. Irving will serve as the Committee’s 2020 Chair. Further, Linnea Solem, Founder and CEO for Solem Risk Partners LLC, is appointed the Advisory Board Liaison to the Steering Committee for 2019 - 2021. The Shared Assessments Steering Committee is composed of senior Third Party Risk practitioners from many of the world’s most respected corporate and public sector organizations. Working closely with risk management experts of The Santa Fe Group, the Program’s managing agent, the Committee continuously evolves the best practices and tools relied upon by hundreds of organizations around the world to meet the challenges of risk and compliance in today’s shifting threat landscape. The Committee provides oversight of the Program, thought leadership, and education and guidance on tools and resources. With nearly 20 years’ experience, Irving is a seasoned risk professional and an active leader and advocate of the Shared Assessments Program. She has been an active participant and is Chair of the Best Practices Committee, the founder of the Asset Management Vertical Strategy Group and remains an active participant on its Leaders Committee. Irving has contributed to numerous white papers, and will be speaking at the 2019 Shared Assessments Annual Summit, as well as the ACFE Global Conference, on the subject of third party risk. The Shared Assessments Advisory Board is comprised of key thought leaders in risk management, and responsible for the strategic vision and growth of the Shared Assessments Program. As the only organization that has uniquely positioned and developed standardized resources to bring efficiencies to the market for more than a decade, the Shared Assessments Program has become the trusted source in third party risk assurance. Shared Assessments offers opportunities for members to address global risk management challenges through committees, awareness groups, interest groups, and special projects. Join the dialog with peer companies and learn how you can optimize your compliance programs while building a better understanding of what it takes to create a more risk-sensitive environment in your organization.